The string of incidents began at about 2:20 p.m., when it was reported that a truck was stolen in the 100 block of South 7thStreet. The truck was later crashed in the 2500 block of San Juan Road, officials said. Next, the suspect or suspects stole a nearby ranch utility vehicle and drove it to the 300 block of Truesdale Road in Shandon, where a home was burglarized. Sheriff’s officials say it is not known what items were stolen from the home. A single suspect then ran to a nearby home in the 600 block of Mesa Grande Drive, after which the thief stole a car that was parked in the driveway of a home in the 500 block of Mesa Drive. Sheriff’s deputies, CHP officers and a CHP helicopter conducted a search but failed to locate any suspects. Investigators believe the suspects have left the area. One witness described a possible suspect as a white man, 20 to 25 years old who is 5 feet 6 inches to 5 feet 8 inches tall, with a thin build, and a light-colored beard. He was said to be wearing a blue shirt and black pants. Deputies found the last vehicle that was stolen, which was reportedly a black 2008 Chevrolet Malibu. The vehicle was located in Paso Robles. 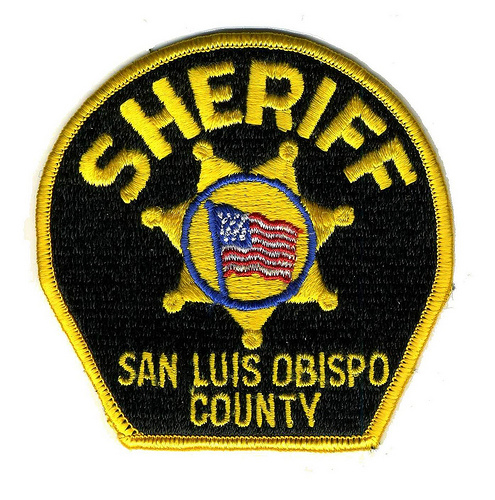 Deputies are asking anyone who has information about the crime spree to call the sheriff’s office at 805-781-4550 or anonymously contact Crime Stoppers at (805) 549-STOP.